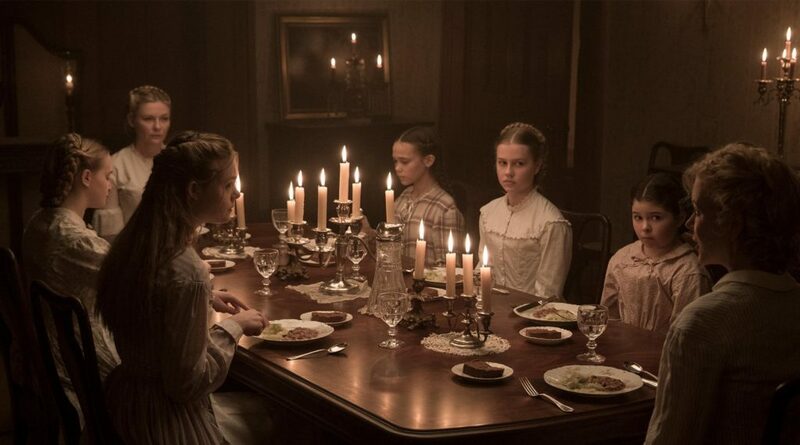 Sofia Coppola won the Best Director prize at this year’s Cannes Film Fest for her remake of the Western The Beguiled, starring Colin Farrell, Nicole Kidman, Kirsten Dunst and Elle Fanning. Sofia Coppola: Growing up, my mother was always interested in contemporary art and brought us to museums to see exhibits and always encouraged us to make art and be creative, so that was very encouraging and what I got from her. And also I think her demeanor, she is calm and I think my demeanor on set comes from my mother who keeps a calm exterior in the storm. SC: I remember having my eighth birthday during Cannes when my father was there for “Apocalypse Now” and just the excitement of being there. And it was always exciting that my parents brought us into their adult world, so to be out on the Croisette late at night and seeing all the filmmakers from all over the world, it was very exciting. So I always had a sentimental connection to Cannes and I brought my first film, “The Virgin Suicides” there and it was the first time that I had ever shown a film and it was well received in Cannes and I felt that that started my career, and it was very helpful to me. I have a lot of history connected with Cannes. And I loved that I was able to go to the Jury and just to be able to meet filmmakers all over the world I think is exciting when you are making films. I remember going to the Palais to see the movie but mostly I remember it was the year that Cheech and Chong had “Up in Smoke.” And they had a huge joint up on the Croisette and my brothers got to go and I couldn’t go. That’s my biggest memory. SC: I can’t choose, I really enjoy both. And a lot of them, they fit together. I love stories that incorporate both. Because in life sometimes, the sad or dramatic moment will have something funny that breaks the tension. So I really love both, it’s hard to choose. SC: I feel lucky to have grown up in Napa Valley and I love wine and it’s nice to have our family in the wine business. So I do appreciate wine. I am open to lots of things, but especially like red wine from Napa and champagne is celebratory. SC: I love filmmaking because it incorporates so many things I am interested in. But in between, because it takes so long to make a film, I enjoy doing side projects and design and it’s a hobby of mine and an interest from when I was a kid, I was interested in fashion and photography. It’s something that I get to express in my film work, but I can do a little bit on the side in-between. SC: I love European culture, but I grew up in Northern California, so I feel like that is a big part of me. And my dad was always making emphasis on being Italian and we spent a lot of time in France. I feel lucky that I have been able to spend time in Europe and I can take from that culture, but I am a Californian at heart. SC: I met Philippe Le Sourd, who is a great French cinematographer through Harris who I had worked with and he recommended him. And I had worked on some commercials with Philippe and he is such an artist and I admire what he had made “The Grandmaster.” He is choosy about his films, and it was definitely impressive, his work for Wong Kar-Wai. SC: When I saw “In the Mood For Love” it just made such an impression on me and the world that he creates and he is just a great talent and he makes beautiful art. SC: I drew a lot as a little kid and then I got self-conscious that my drawing isn’t as good as I wanted it to be and that is when I started being interested in photography. My mom encouraged me to collect photography because it was something that I was interested in. I liked fashion photography, and portraits and art photographers. In College I studied art at Pasadena Arts Center. So I learned a lot about photography that helped me when I was starting filmmaking and think about the mood and how to build a frame in a way that it’s connected to me. SC: I am really excited for “Wonder Woman” because for so long, they didn’t think that a movie could rest on a woman superhero. So it’s so cool of course that “Wonder Woman” is successful. And I am not surprised. (laughter) But I am happy about it. And I grew up with all men, and I was the only girl of my generation, so I am not looking for male attention. I was surrounded by men growing up. But I think the story I like looking at, the idea that these women were cut off from the world and their repression and their desire, which is human, and to treat that as just a part of their humanity. SC: I went home and there was no news and I didn’t want to get my hopes up, but you hope that your film will be brought up when they are talking about the final films. I went home to my kids and then that morning I got a call that I was going to get a prize and we didn’t know which one. And it was the morning of so I couldn’t get there anyway. But we were going to Coney Island with my kids and I got a call that I got the director award, and it was a big surprise and exciting. And my daughters were very excited. SC: I don’t know if I was aware as a little kid that there was so much drama going on. I thought it was exciting to be in the Philippines. My dad always believed in what he was doing and had so much passion and was fighting for making the movie he wanted to make. And so I got that from him and of course you have to fight to get exactly what you want and I am so happy that with this film, I got the cast that I wanted and I got to make exactly the movie that I wanted to make, thanks to Youree my Producer. That was really gratifying. SC: I am happy I got to make this movie, which has an all-female cast and a man, and I think, I always like seeing movies from different points of view and so you just hope there is more openness to different points of view. SC: Cartier asked me to do a promo clip for the Panther Watch they were doing and I was just happy to and I think the brand to me reminds me kind of European glamour in the late 70s and 80s and I love that era of it, so it was fun to do something glamorous. And I enjoy doing commercials, to get to work with a crew that I like to work with and different cinematographers, cause films take so long to be able to do something and to express one idea and be short is something I enjoy. SC: We all lived together when we were making the film and one day halfway during production, I actually realized that, we were all living in this one house, and I realized that I was the only man in the house, and it was this weird sort of meta thing, but obviously I lived to tell the tale. That was an interesting thing. But everyday though is wonderful working on a Sofia set, because I mean a lot of people talk about it, but it’s really creative, but it’s very mellow and it’s a great experience, from everyone across the board. So, it’s hard to pin out one day or one anecdote. SC: I think a lot of directors do that and I try to be open to new, I love working with new actors and discovering people. But I connect with Kirsten as some kind of alter ego, or someone that is a great partner for me to work with. And we have done three, this is our third film. SC: I met her when she was 11 and I thought she was so unique and I am still excited to see what she does when she gets older and has more complex roles. But there are just certain people that you have a connection with and I enjoy their work and I feel that they know how to interpret my style of how I like to work. With my team and my crew, we have a short hand and we are all together, so it’s a big help to me to have a team that understands my sensibility and how I want to do the film. SC: I think I am interested in stories about women because that’s my experience, so those are the stories that interested me, and part of what I liked about the story was that it was a group of women from age 12 to 40 and to get to work with women at all these different stages and how they react to this intruder. So just that story was interesting to me and I do think it’s important to have different points of view in film and to reflect the society and not just one view. And what did I learn from my mom? Yeah, I feel like now having daughters, I draw so much on what my mother taught me and just her values of what is important and how you want to be as a person and as a woman and to be able to express yourself. So I find that I have learned a lot from her about being a mother and then also as an artist.